Leann D'Ettore, President & C.F.O. I am the co-owner and founder of Homistic Real Estate in Cranston RI. I am the President of the Greater Providence Board of Realtors. I have received numerous excellence and sales awards in 2006, 2008 - 2015. My company has aimed to become paperless and “green” and was recognized for our efforts by receiving the 2011 “Most Innovative Company of the Year” and the “2012 Green Company of the Year.” Our company was also recognized as a finalist in Forbes Magazine’s “Empact 100 List.” The Empact List recognizes companies who have grown significantly in a short period of time and are make global differences. Our other accomplishments include recognition for exceptional customer service, outstanding leadership, and accomplishments in the real estate industry. I hold a Bachelor's Degree from Assumption College with a Bachelor of Science Degree with a minor in Business Marketing. I was featured in the Prestigious Realtor Magazine’s “30 Under 30” section where 30 REALTORS ® are featured nationally every year. When I was chosen as one of the 30 honorees, it was, by far, one of the most rewarding moments of my career. Ever since becoming involved with real estate, I have always strived to attribute my experiences in real estate to even higher professional standards. I also strive to perfect a strong reputation built on integrity and trust amongst all my clients. My business strategies are primarily predicated on the basis of selling properties quickly and efficiently or assisting / educating buyers throughout all aspects of the home buying process. 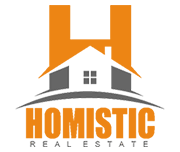 Every since opening Homistic Real Estate, Inc. working in the field has always given me a great sense of fulfillment. I truly love and enjoy what I do and I look forward to every day that I can help a home owner or buyer achieve their goals. True success for me, however, is giving back. I never felt true success until I got involved with leadership and volunteerism. Real estate is my passion, and leadership and volunteering within the real estate community are the driving factors that allow me to truly excel in a field that I am passionate about. I have always welcomed the challenges and loved all aspects of the field. Some of my interests include Habitat for Humanity, Local Board Leadership, committee and community leadership programs (founder and co-founder), Homes for Hero's, DAV Auxiliary Housing Task Force, and more!